If you haven't noticed lately, there is a new trend developing in jewelry, industrial design. A lot of designer sites display necklaces made with what are essentially washers. Many of them are stamped with names or sayings to personalize them. On craft sites and blogs, many have been decorated with nail polish or enamel paint to make them more colorful. Those of us who can get lost on Pinterest find plenty of links not only to the designer sites, but to blogs, Youtube videos, and craft sites with necklaces and other jewelry made from such fasteners. 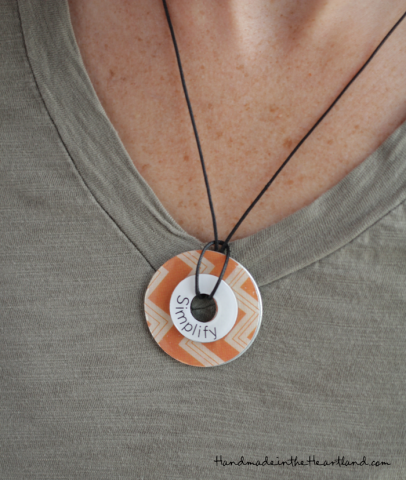 Etsy, another site to get lost in, has quite a few sellers who have designed jewelry using washers and charms, personalizing them with hand stamps for buyers. I have attached some interesting links to check out. Just don't get lost, it's really easy to do! See! I told you it's easy to get lost! I just Googled "washer necklace" and found most of these on the first page. Now to find the time to do all of these! P.S. With the multiple colors that nylon washers can be made in, you could probably save some time when making these!